NW-PS22 100 AH Swappable Power Pack 3-5 hrs. 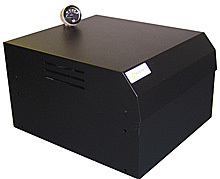 NW-PP42 100 AH Standard; up to 1,000 watts 3-5 hrs. NW-PS25 200 AH Swappable Power Pack 8-10 hrs. NW-PP45 200 AH Standard; up to 1,000 watts 8-10 hrs. NW-PP52 200 AH Heavy Duty 8-10 hrs.